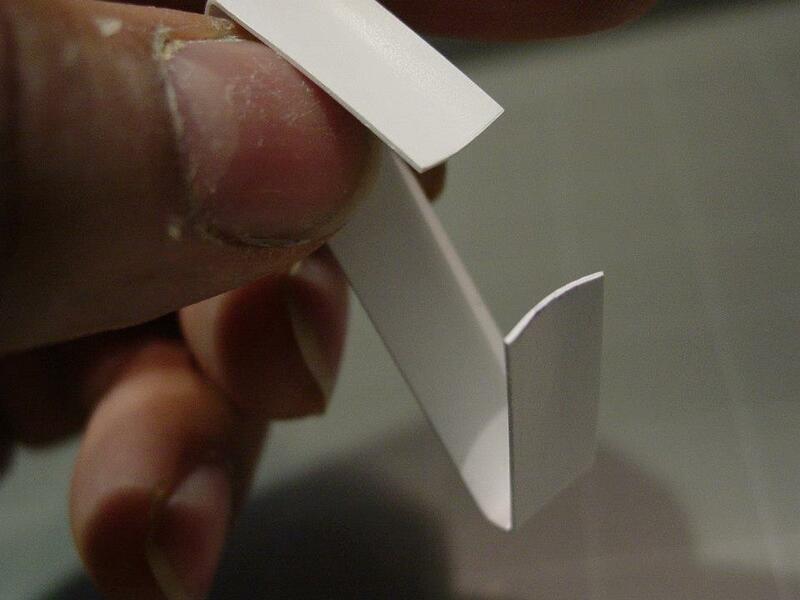 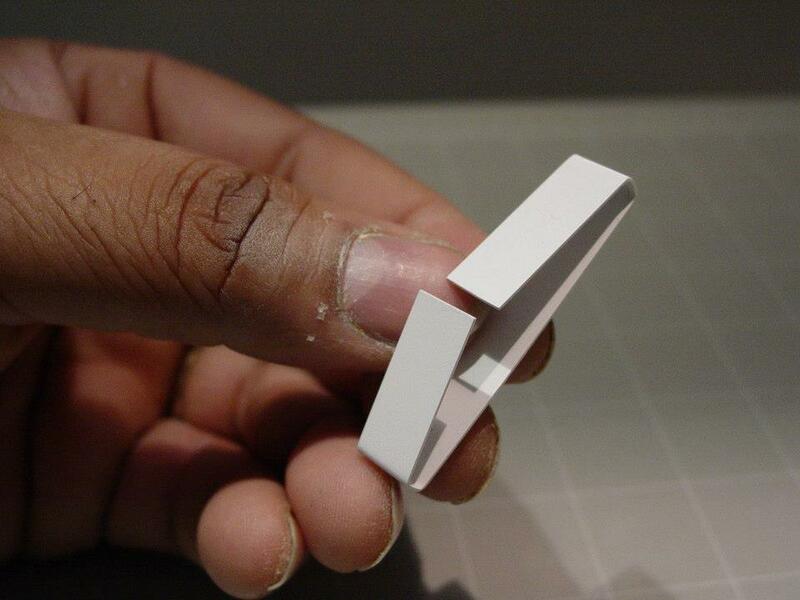 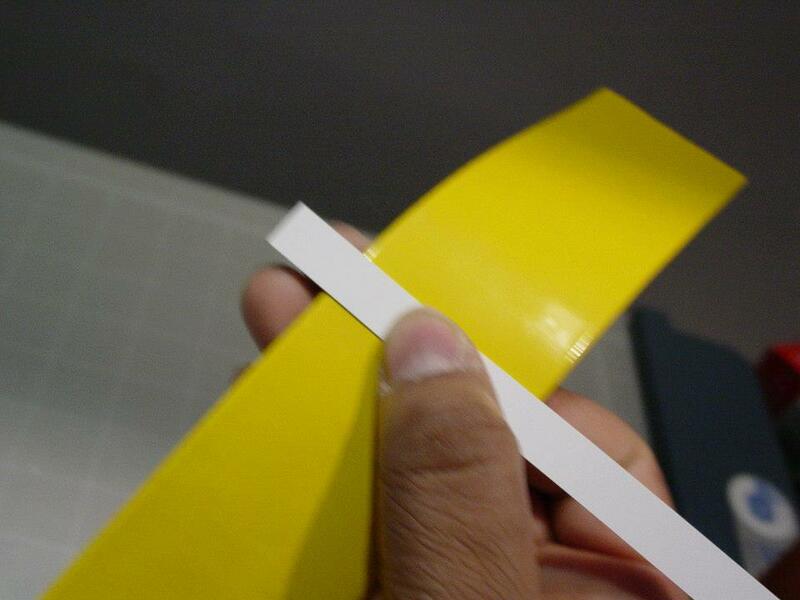 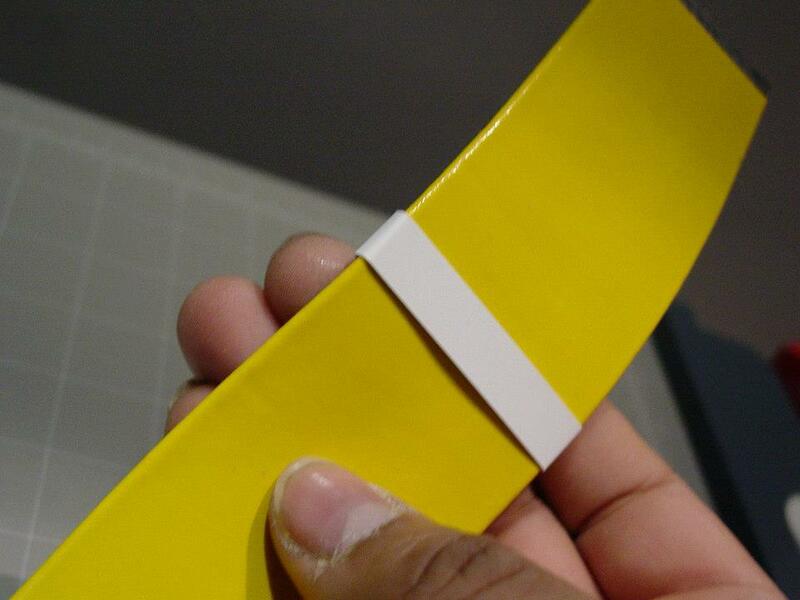 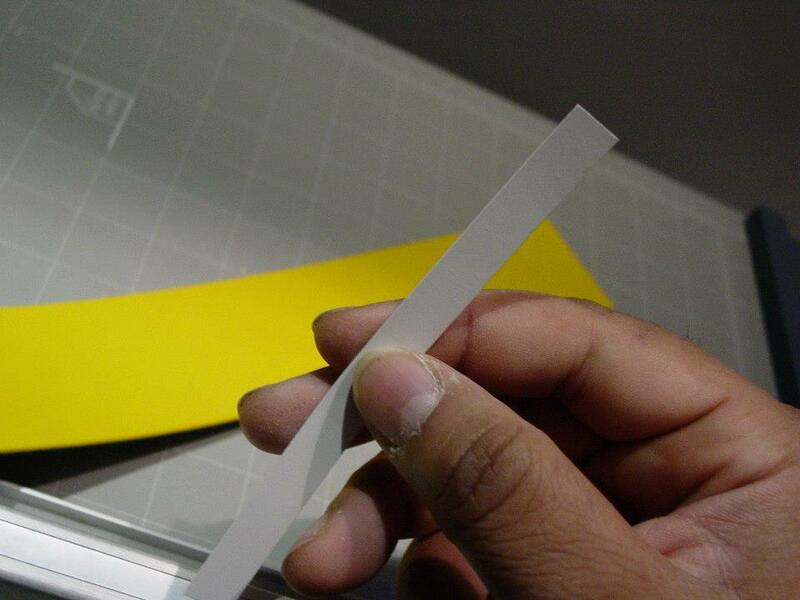 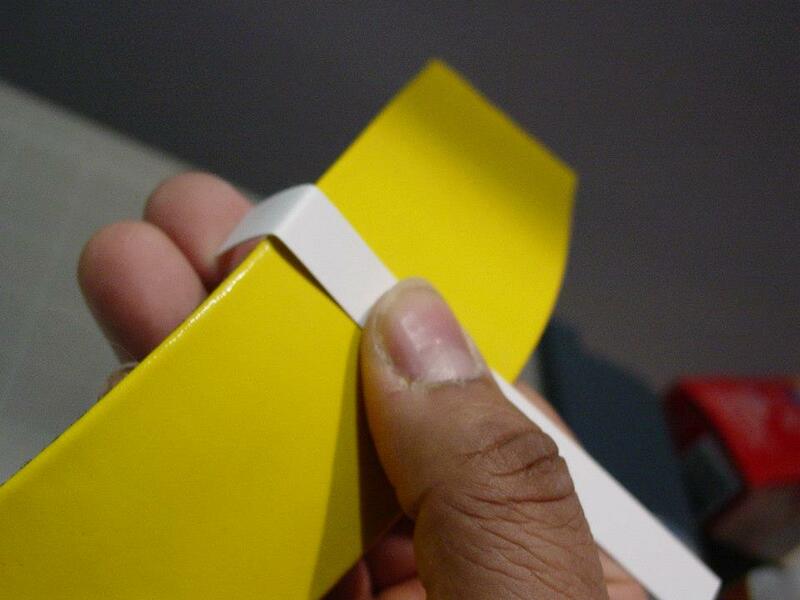 Hand-cut plastic styrene strips were used to fabricate the loop straps for the vial canisters of Batgirl's Utility Belt. 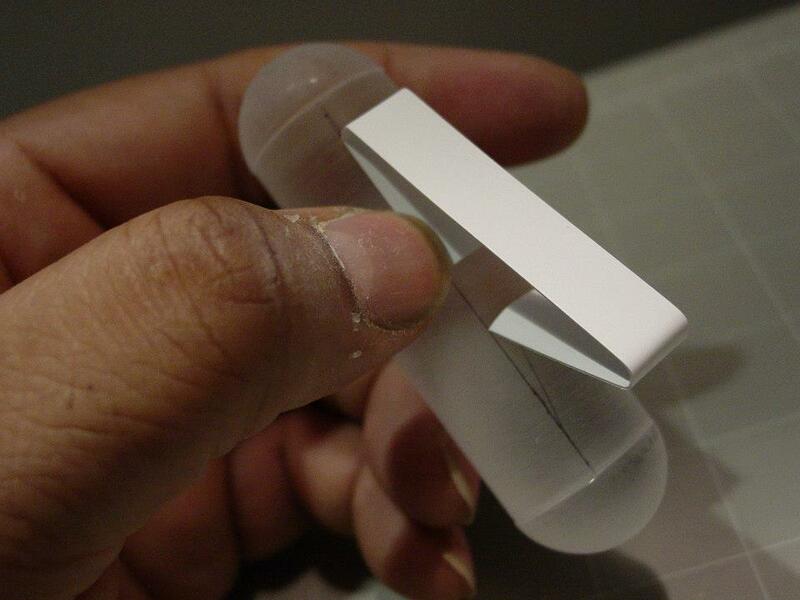 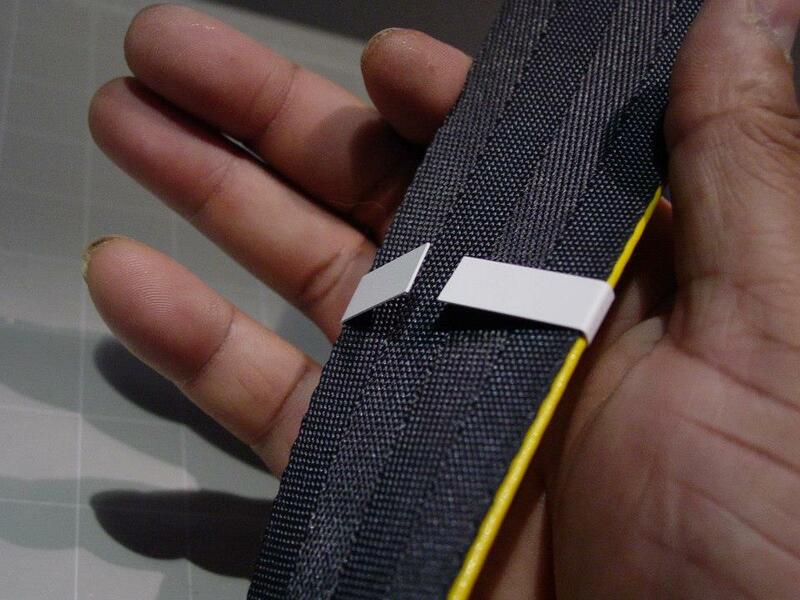 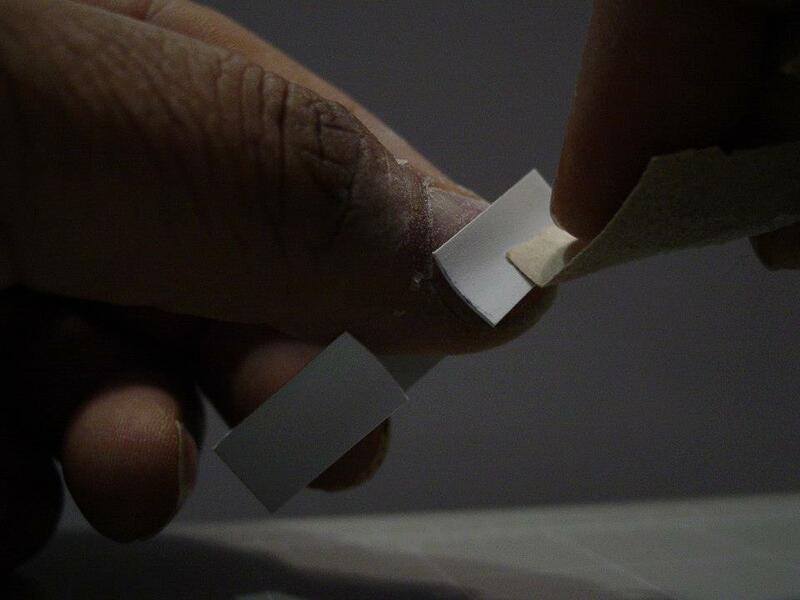 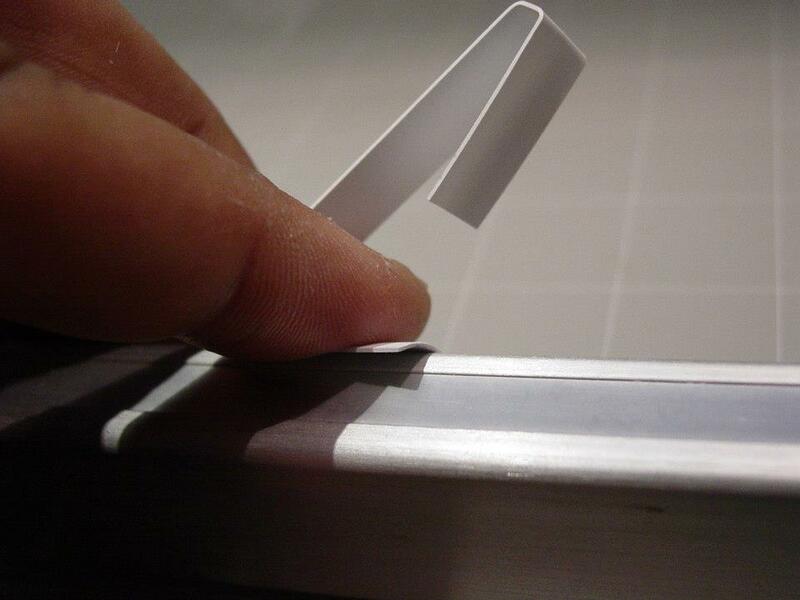 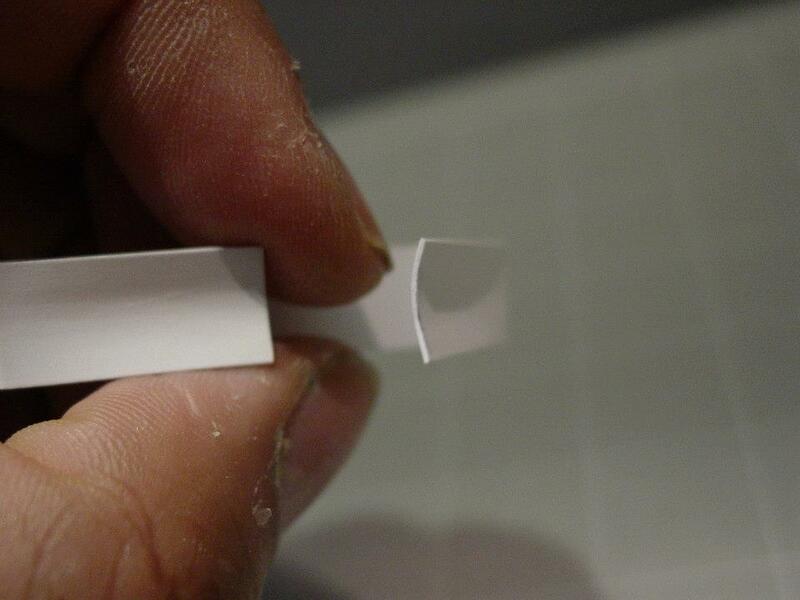 Leading edges of canister vial straps were radiused to ensure a flat and flush glue bond along the shaft of each vial. 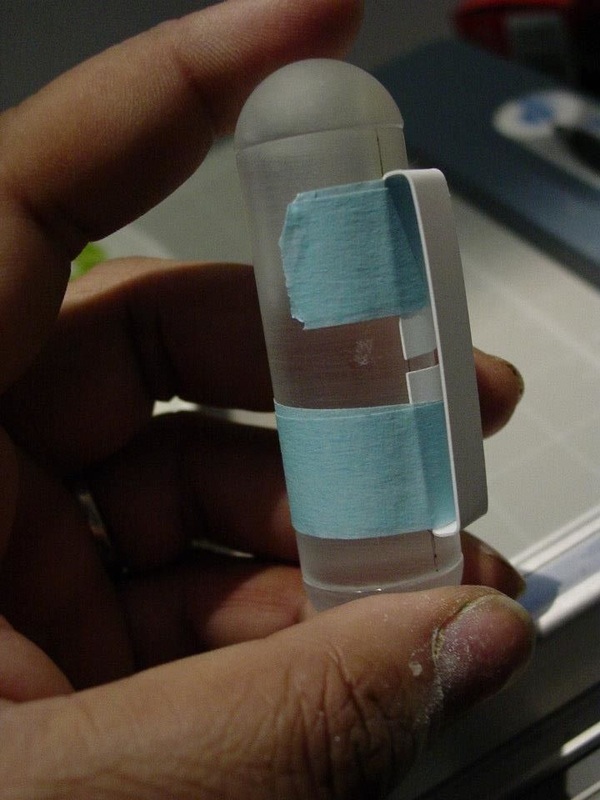 With the loop straps permanently glued onto the Utility Belt canister vials, they were now ready for final paint. 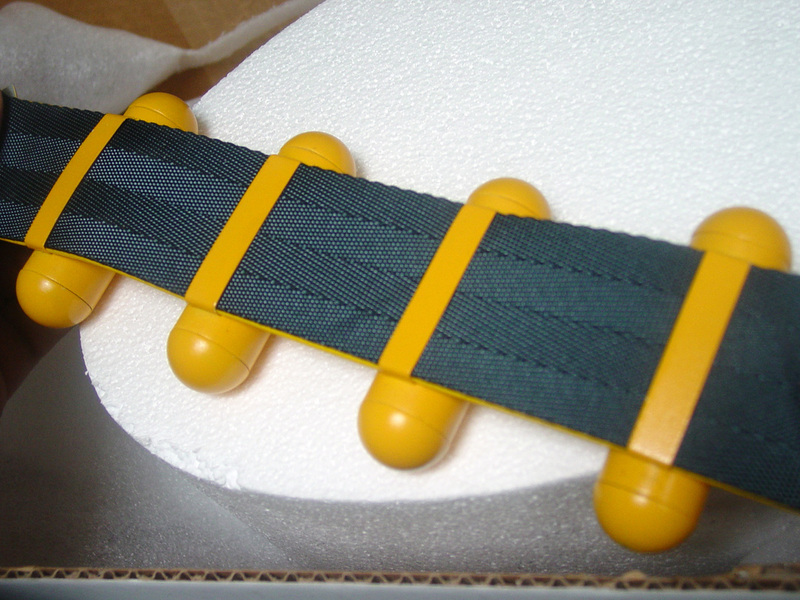 Rear side view of Batgirl's Utility Belt. 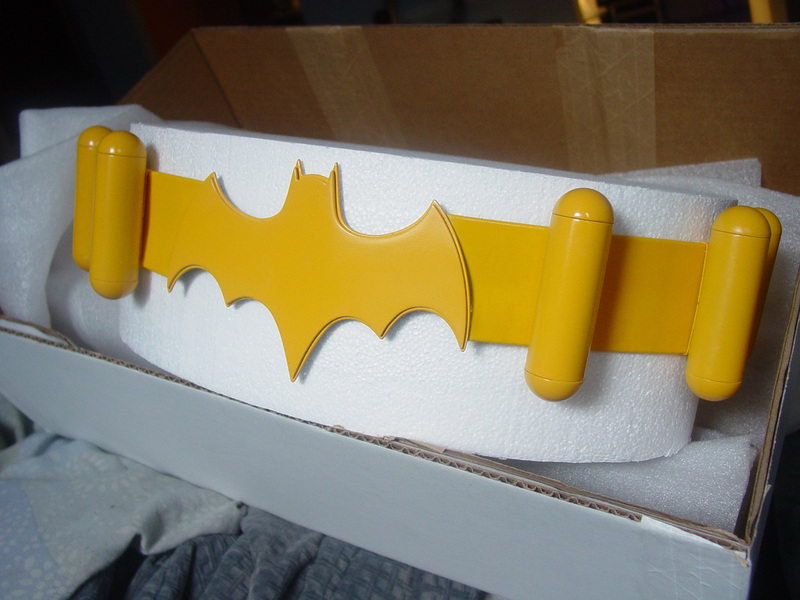 Batgirl's Utility Belt designed and constructed by Costume Designer Roberto Williams.